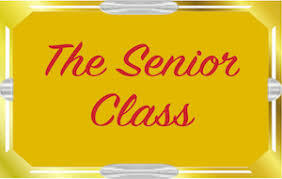 Senior Class of 2018 Photo will be on Wednesday, May 16th at 1pm. Dress Code for boys: Black pants, white collared shirt, dark tie, black shoes. Dress Code for girls: Black dress OR black skirt/pants with black shirt, black shoes.